There are a host of fundamental themes currently playing out for the global financial markets, but some of them stretch wider and threaten to cut much deeper. The outlook for economic activity, the excess encouraged from speculative market participants by extremely accommodative monetary policy and the rise of localized political risk are all important in their own right. However, they all pale in comparison to the ominous march forward of global trade wars. The opening of trade between the world's largest economies - often referred to as 'globalization' - is responsible for a generous portion of the global growth that has accumulated through previous decades. That is not to suggest that everyone has benefit, but the world and most of its major economies have. That being said, economic cooperation has taken a nasty turn for the worst, particularly over the last six months. The primary instigator for the aggressive and open engagement of trade wars is the United States. And the primary target of their actions thus far has been China. The US has implemented both metals tariffs (a 'global' program) and a further $50 billion in import taxes meant to compensate for intellectual property theft. We have just recently closed the period for public feedback on an additional $200 billion in direct tariffs, which would take us to unprecedented levels for which China cannot retaliate with like-for-like import taxes. The course these two countries are taking will set the stage for global growth and financial stability. Whether we trade exotic assets, high risk trades or core 'blue chips'; we must keep tabs on this situation. As important as the trade war specifically between the US and China is, it is not particularly easy to keep an accurate read on how the situation is progressing. Sure the taxes are heavily publicized. Further, there are direct market measures between the two key economies and important economic data; but neither of these barometers are particularly reliable. In fact, there is good reason to doubt the accuracy of most 'official' data referring to Chinese statistics or market pricing. For the event risk that the country produces there is a deep skepticism surrounding the veracity of the figures throughout the global markets as it is assumed there has been an effort to massage the statistics to prevent any unwanted panic among global investors and speculators. As noble as the effort is to maintain stability, doing so through obfuscation does not ultimately end with favorable results. As for the markets, there is even more explicit evidence that outside influence skews the readings. China has a considerable history for propping up and curbing fear in local capital markets to help curb financial seizures that could turn into economic (or even worse, social) panic. If the Shanghai Composite is under such 'protection', its already significant discount to US equity indices should easily earn caution. 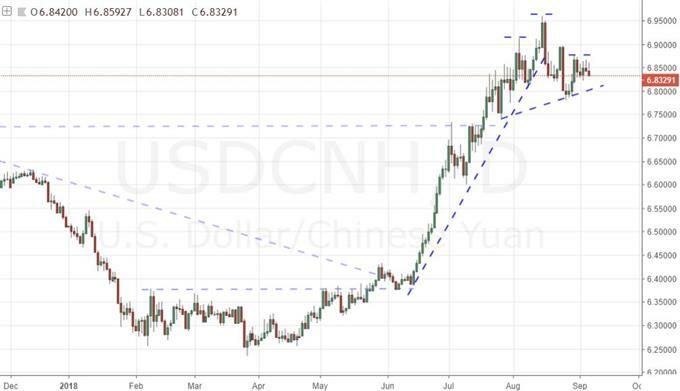 As for the exchange rate, the People's Bank of China (PBoC) has made explicit its influence on the Yuan. While it does not say that is explicitly raising or lowering the local currency, it has clearly signaled that it intends to reduce volatility - and that almost certainly includes momentum. That will be both bullish and bearish momentum, so accurate readings from exchange rates is clearly caveat emptor. 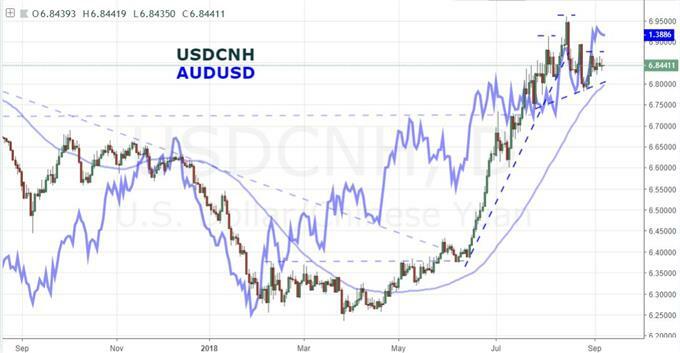 If there are heavy distortions expected from economic readings and asset pricing from China yet the implications of trades wars on its participants is absolutely crucial to our broader course, what can we use to supplement our fundamental views? There are a few direct measures that can be used for the standards, but many have their own particular issues. For an alternative to the Shanghai Composite, we can look to foreign-based equivalents like the FXI ETF which looks to mirror large cap Chinese shares. 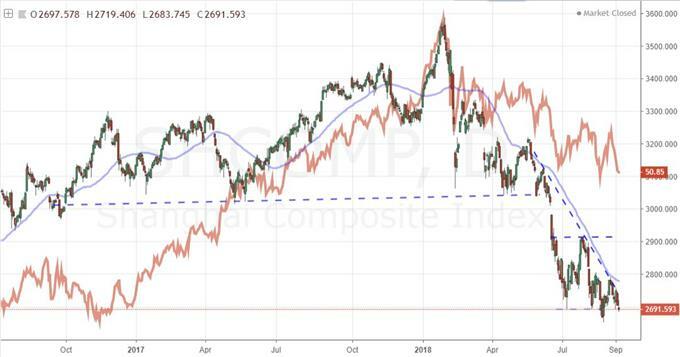 The problem is that this is a derivative which will look to keep a close bearing to the underlying (and distorted) benchmarks like the CSI 300 or Shanghai Composite. Showing an open market pricing that is too far from the mainland figure could cause arbitrage situations that trouble the fund. As alternative to the Yuan, the Hong Kong Dollar is a good theoretical stand in but practically it operates with a peg versus the Dollar with a tolerance band. We have hit the upper bound of the tolerance band for months, but to what extent that signals capital flight is not clear given the cap. 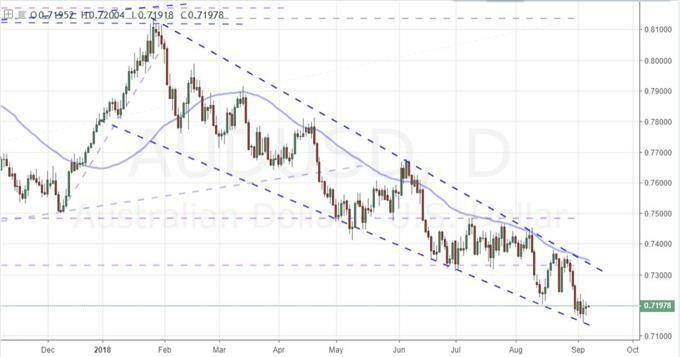 If we are looking for a good proxy for the China and its trouble with global trade wars, the Australian Dollar may represent the best alternative. While the Australian economy certainly carries its own domestic economic strengths and weaknesses, there is a remarkable connection between the island continent and China. Back during the Great Financial Crisis, Australia managed to avoid recession - one of very few major developed economies to claim this feat - in large part due to its direct connection to China. The Asian behemoth avoided and economic slump by opening the credit flood gates to trigger a wave of investing and building. That exposure led to a wave of bad and underperforming loans that we are still dealing with today, but it headed off economic reality at the time. If China was growing and building, it needed raw materials which Australia readily provided. There is a reason mining, exports and real estate have done so well over previous years. Yet, this correlation between Australia is not just a positive influence. As China slows, it threatens to drag down Australia as well. And so, the Aussie currency finds itself positioned to be a unique and important measure of China's 'actual' health. 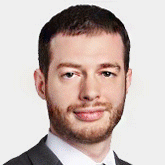 We focus on the Australian Dollar and its important role in today's Quick Take video.